Volume 4, Edition 12 Trouble loading? View this email online. 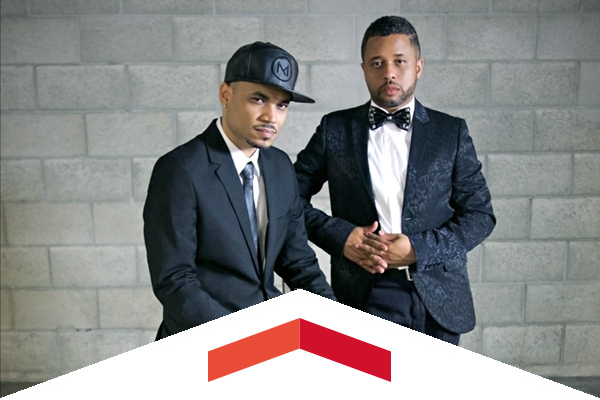 It’s been 16 years since Quincy LeNear and Deondray Gossett came out as gay in their CSUN psychology class, and the successful entertainment power couple say their positive experience at CSUN helped restore their confidence when they needed it the most. 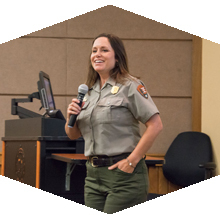 Four alumni of CSUN returned to their urban alma mater to help celebrate the National Park Service’s centennial and to encourage current students to follow them into careers at NPS. Commitment to scholarship, excellence, innovation and experimentation are among CSUN’s five values. CSUN celebrated the living embodiment of those values by honoring 20 outstanding students at the Northridge Scholars Reception. Thurs, Nov. 3, 5 p.m. The Matadors were crowned conference champions for the first time with their thrilling 1-0 double-overtime victory in their regular-season finale. Now they set their sights on the 49ers in the semifinals of the Big West Tournament. The Departments of Theatre and Music bring you the final four performances of this fairytale opera based on the Brothers Grimm classic. Thurs, Nov. 3, 8 p.m.
José James makes his VPAC debut performing the music of Billie Holiday in a stripped down, intimate rendition of his album, Yesterday I Had The Blues: The Music of Billie Holiday. Extend your alumni network to include the entire 23-campus CSUN system by joining fellow Matadors and connect with fellow CSU alumni at the CSU Orange County Mega Mixer. This year’s event will be at a spectacular location — Twenty Eight Restaurant and Lounge in Irvine, which was opened by Top Chef New Orleans finalist Shirley Chung. Keep in touch with fellow CSUN alumni, get news on Alumni Association events and check out what some of our Matadors are accomplishing. Reconnect with Biology alumni and faculty, see what our current students are up to and network. There will be student presentations and tours of Chaparral Hall, along with food and beverages.